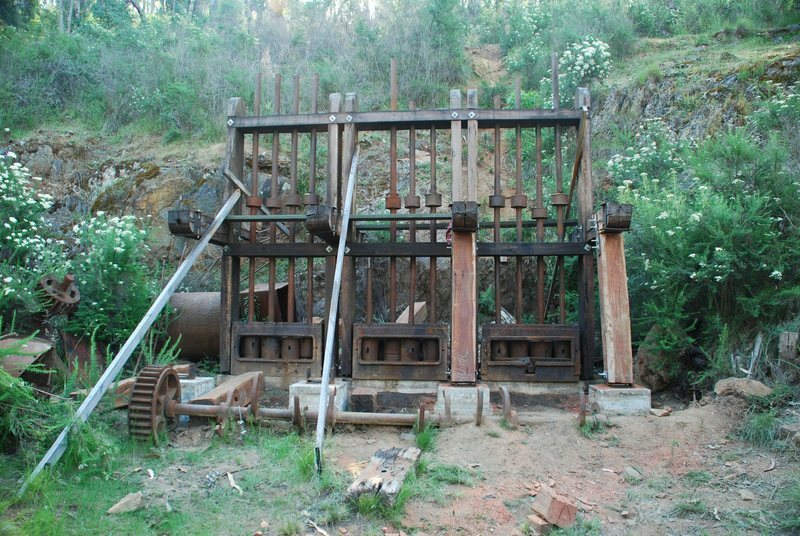 The Wallaby Mine Gold Battery Site consists of the remains of a 12-head stamping battery, horizontal steam engine, stone boiler setting, and various buried and partly buried piece of machinery. Nearby are some relics of a water-powered battery (waterwheel pit and machinery components). The mine is located above the battery and consists of a large glory hole (open stope) and mullock heap. Ore for crushing was brought to the battery through a tunnel. The Wallaby Mine Gold Battery Site is of historical, and scientific importance to the State of Victoria and has already been placed on the Register of the National Estate. The Wallaby Mine Gold Battery Site is historically and scientifically important as a characteristic and well preserved example of an important form of gold mining. Although being very close to Beechworth, the abandoned machinery has not been significantly scavenged. The 12-head battery was installed in 1912 to replace an old battery which has been damaged by a bushfire. Gold mining sites are of crucial importance for the pivotal role they have played since 1851 in the development of Victoria. As well as being a significant producer of Victoria's nineteenth century wealth, with its intensive use of machinery, played an important role in the development of Victorian manufacturing industry. 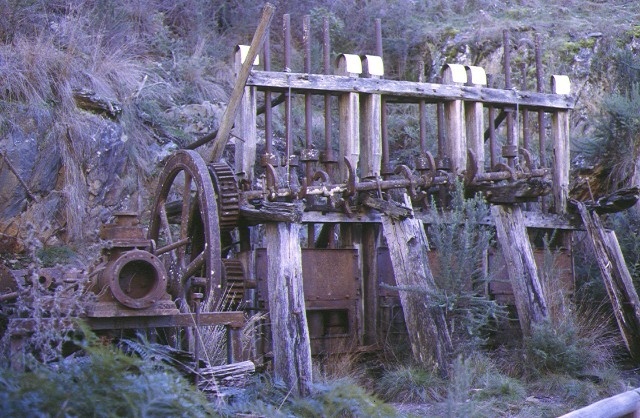 The abandoned mining machinery at the Wallaby Mine site is historically important for its evocation of the adventurousness, hardship, and isolation that was part of mining life in the high country areas of the State. The Wallaby Mine Gold Battery Site is archaeologically important for its potential to yield artefacts and evidence which will be able to provide significant information about the technological history of gold mining. Wallaby Mine Gold Battery Site, Nine Mile Historic Reserve(6.5 kms east of Beechworth), Indigo Shire Council. 1. All of the Crown Land including the remains of a 12-head stamping battery; horizontal steam engine; boiler setting; a waterwheel battery site; haulage adit, and large open stope; and any other quartz mining artefacts within a 250 metre radius with Australian Map Grid co-ordinates E785 N758 on 1:100,000 map sheet number 8225 Albury.